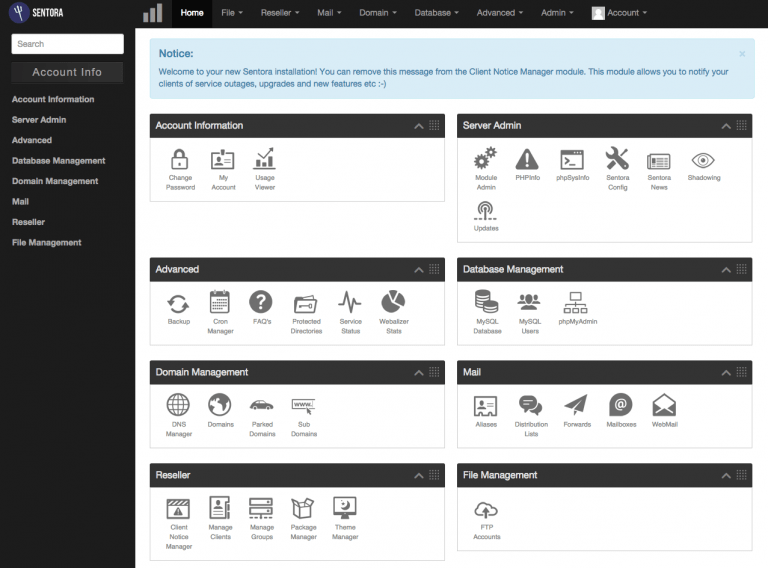 Sentora is a similar system management to Cpanel VPS but This is open source and completely free. 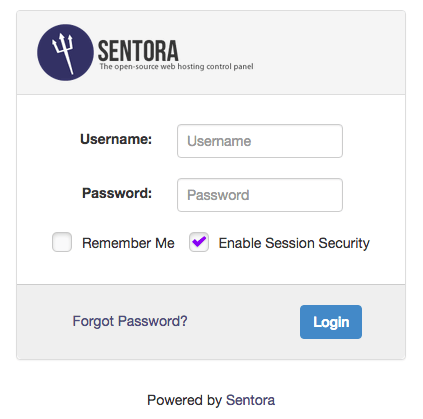 Use Sentora help you use the VPS is easy, intuitive. After Zpanel sold to HostWinds has not been updated regularly and hides a lot of errors. Sentora built from the developers of Zpanel and it is updated regularly and continuously. So you should not use anymore Zpanel replace with Sentora Control Panel . These are all necessary applications required almost each VPS to work. Also if you want more functionality, you can install the module was introduced on Sentora community forum . **On CentOS 6.x, Sentora will install PHP 5.3. **If you want to use PHP 5.4, use CentOS 7 and PHP 5.5, use Ubuntu 14:04. Next, prepare a domain name (You can buy domain .com at 1and1 only $1 click to this link) to run email service and a subdomain has been pointing to the IP of VPS for management Sentora page. Now let’s go to the command to remove yum remove -y httpd bindand then re-run the install command above. Therefore TZ='HongKong' will be used. Local time is now: Wed Aug 26 16:19:25 ICT 2015. Universal Time is now: Wed Aug 26 09:19:25 UTC 2015. If you encounter any public notice WARNING in this step, Sentora can not work. Often, the error message is not pointing to IP subdomain, and you point your IP again and run the command to install from scratch. Now create the client and start using Sentora !! Good luck to you !! !